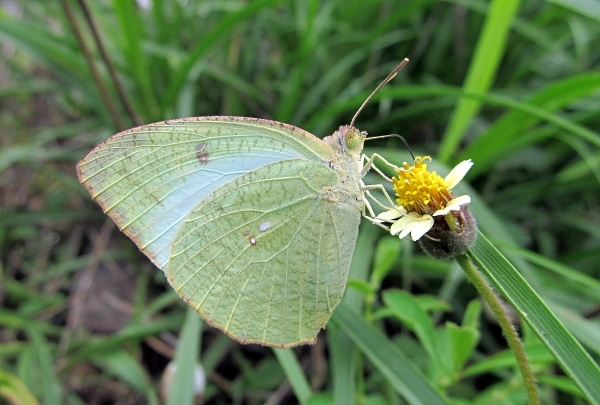 Like its relative, the common emigrant (Catopsilia pomona), this is a very variable butterfly. 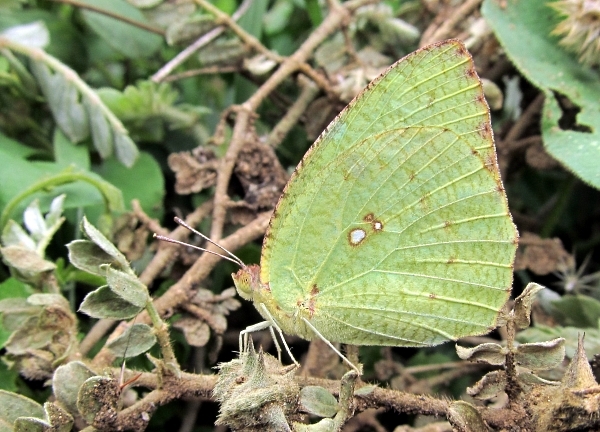 However, I think it can be distinguished by the fine reddish or greenish mottling over the underside of both wings. The common emigrant may be marked but not with this fine texture.Both these pictures were taken in Tirupur, at the end of October and beginning of November 2012.